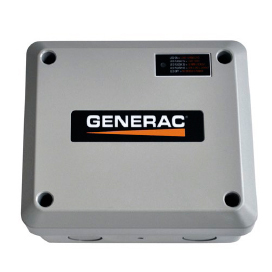 Generac’s Smart Management Modules allow for more coverage with a smaller generator through smart load management. Get more coverage with less when you use Generac’s power management option. WIRE-FREE TECHNOLOGY Increased affordability with wireless modules, lowering installation cost and providing the best whole-house generator option to fit any budget. LOAD PRIORITIZATION Power items that are most important during an outage through customizable load priority selection. Up to 8 modules per system can be used. LOCK-OUT FEATURE SMMs feature a lock-out system which permits blocking of specific loads only when using generator power, allowing for the important loads to be powered more often. EXTERNALLY VISIBLE L.E.D. STATUS View load status without opening the electrical box for convenient management of power during an outage. MAXIMUM COMPATABILITY Smart Management Modules work with any home standby generator for flexibility with any standby solution.